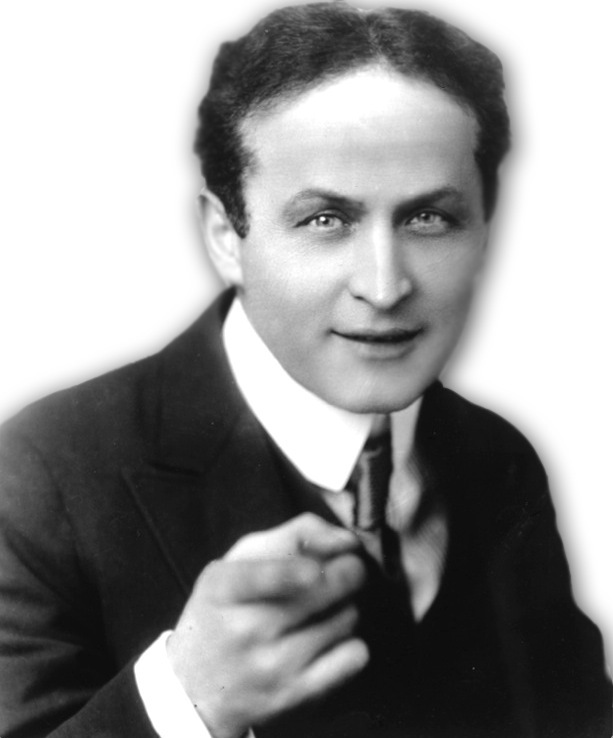 Documentary Heaven has posted the documentary Houdini - Dead Men's Tales. This appears to have aired on the Discovery Channel in Canada and, as far as I know, is not available on home video or DVD. If you recall, in my infamous and much-viewed post from last December, The illicit loves of Harry Houdini, I couldn't find a picture of prime suspect, Milla Barry. Now, thanks to Houdini biographer and Conjuring Arts Research Center maven, William Kalush (The Secret Life of Houdini ), we have our girl! Okay, she's not quite our Milla stand-in, Milla Jovovich...but she's not bad, Harry. 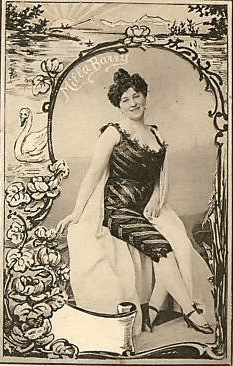 As a refresher, in 1903 Houdini shared the bill with singer/actress Barry and appears to have become personally entangled with her in some way. 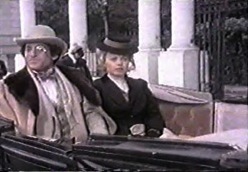 He confided in a close friend that Barry was attempting to break up his marriage. "I am having a hell of a time, and it will become worse," he wrote. But was this an affair, or just a fatal attraction situation? I tend to think it was something other than romantic. Most of Houdini's mistresses come into his life in the late teens and early 1920s, when Houdini was in prime male mid-life crisis age. I also don't think Houdini would cheat while his mother was still alive. Thanks again to Bill Kalush. I've now optimized WILD ABOUT HARRY for mobile devices. 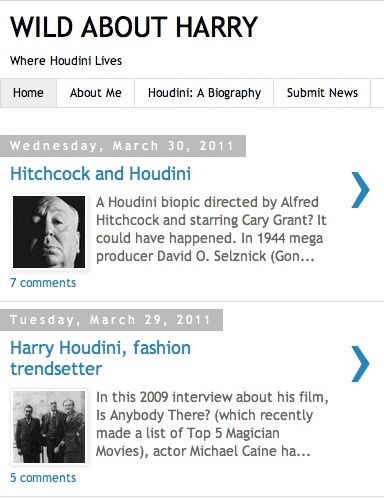 Now you can get your Houdini news on the go with a clean, fast, easy interface. You don't need to do anything special, just enter our normal URL, wildabouthoudini.com, and what comes up will look like what you see on the left. Also don't forget about our new Updates by email feature. And remember that we are also on Facebook and Twitter. By the way, we've now topped 50,000 views since we launched in November 2010. Thank you! "Houdini" with either Cary Grant or Joe Cotton can, I think, be an outstanding and enormously popular picture with very great opportunity for treatment by you. 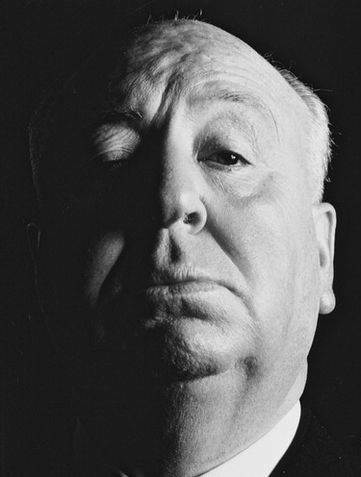 Unfortunately, Hitchcock turned down Houdini as well as Selznick's second suggestion, a Technicolor version of SHE with Ingrid Bergman. 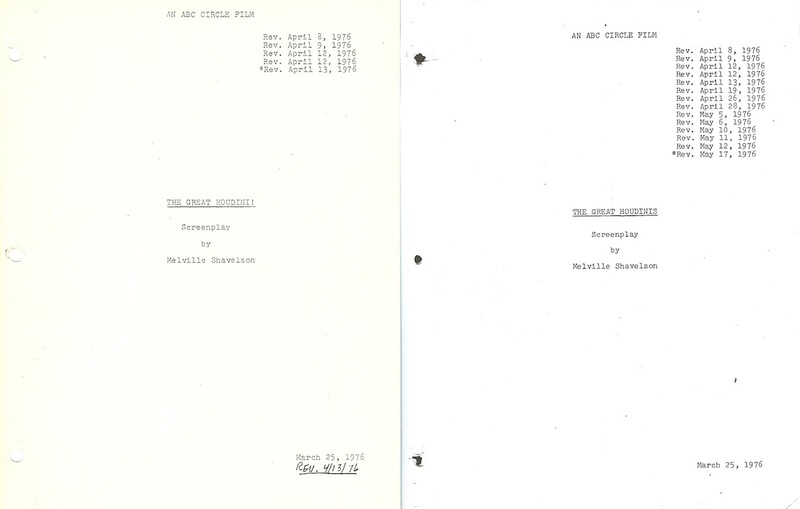 Instead, Hitchcock and Selznick would settle on doing Spellbound with Bergman and Gregory Peck as their next film. Just another tantalizing what could have been. 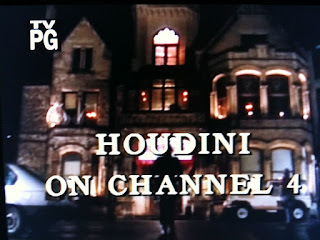 The Hitchcock and Houdini names did finally come together in 1988 with an episode of Alfred Hitchcock Presents called, Houdini on Channel 4. 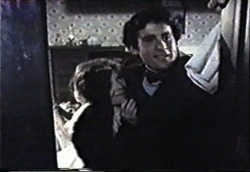 The episode featured a magician (Nick Lewin) seeking the assistance of Houdini's spirit to unmask his murderous wife. Jan Filips played Houdini. 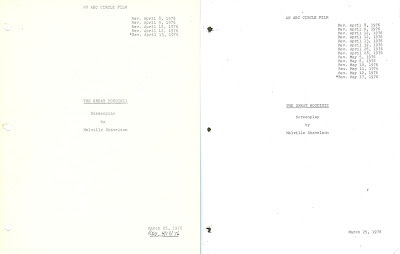 With thanks to the The Academy of Motion Picture Art and Sciences Margaret Herrick Library. In this 2009 interview about his film, Is Anybody There? (which recently made a list of Top 5 Magician Movies), actor Michael Caine had this interesting nugget of information about Houdini’s influence on other magicians...hair. Q: Did you learn any magic tricks while doing The Prestige? Super collector Kevin Connolly is working on a project to catalog as many Houdini cards as possible. "I am in search of every Houdini card ever produced; as long as it is on heavier stock than a sheet a paper," says Kevin. 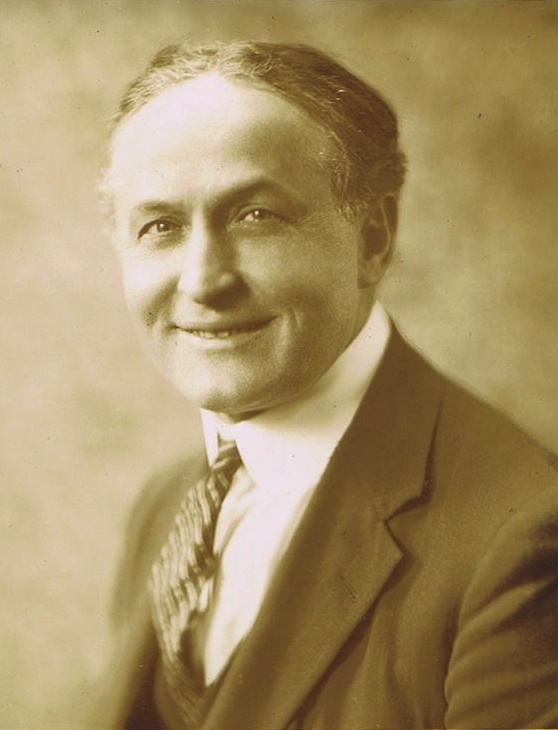 "Houdini cards were used to advertise his movies, tobacco, candy, bread and even yogurt." Click the headline above for all the particulars at Kevin's excellent website, Houdini Himself. 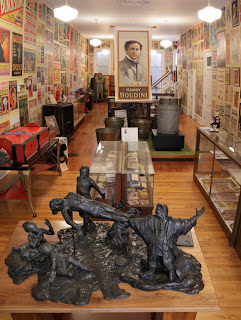 The American Museum of Magic in Marshall, Michigan will open its 33rd season this Friday, April 1, with a new featured exhibit, American Idol: Becoming Harry Houdini. This replaces last season's highly successful Penn & Teller: Bad Boys of Magic. American Idol: Becoming Harry Houdini uses artifacts and photographs from the Museum's extensive collection. 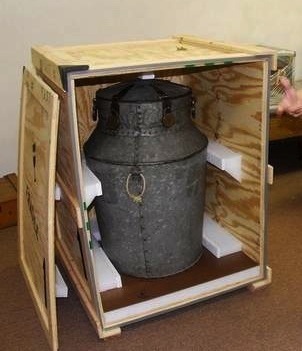 Because several of their best known Houdini artifacts (like The Milk Can) are traveling this year as part of Houdini Art and Magic, AMM will be showcasing Houdini items that the public rarely sees. 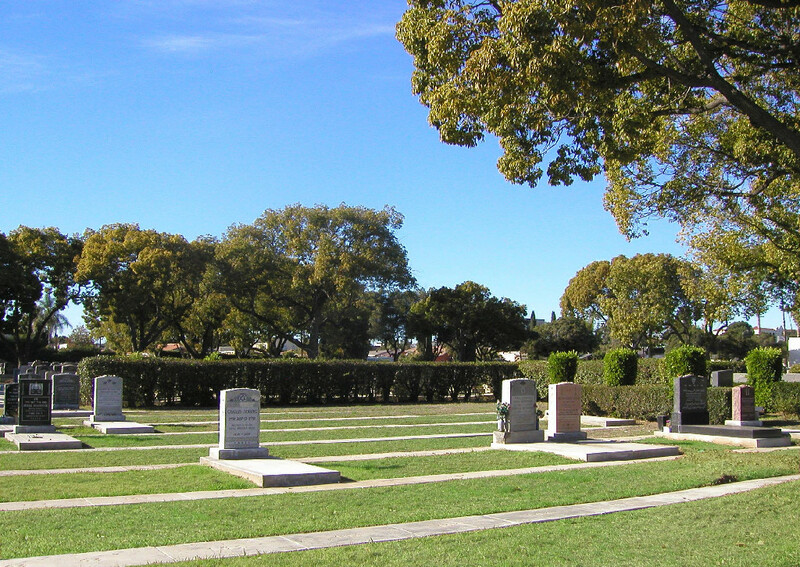 In addition, visitors from within the state will be especially interested in the story of Houdini’s final days, which, of course, have a Michigan connection. To help celebrate this season's opening, award winning magician Jeff Grow will be at the Museum on Thursday, April 7th, from 11 a.m. to 2 p.m. Grow, recipient of several New York Innovative Theatre awards, will both perform and assist with tours of the museum. His visit to AMM will coincide with his performance locally at the Franke Center for the Arts. The coming season also promises a continuation of their highly popular Behind the Curtain lecture series produced by author, magician and historian Dennis Laub, and the realization of a summer day camp for young magicians. Details of these activities will be made available on the AMM website and Facebook page. 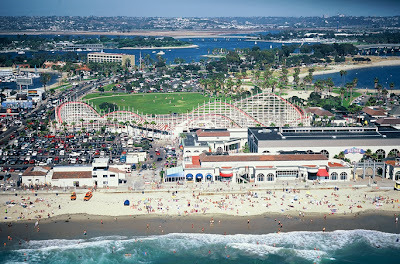 The American Museum of Magic is open Thursday through Saturday from 10:00 AM to 4:00 PM during the months of April, May, September and October, and Tuesday through Saturday in June, July and August (Adults $5/Children $3.50), or by request (269-781-7570). 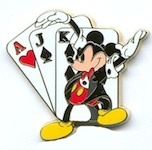 Our friends at the Magic Newswire report that Walt Disney World in Florida will convert their Town Square Theater on Main Street, U.S.A., into the new home of Magician Mickey Mouse. Guests can go backstage to visit Magician Mickey in his rehearsal room along with the Disney princesses. 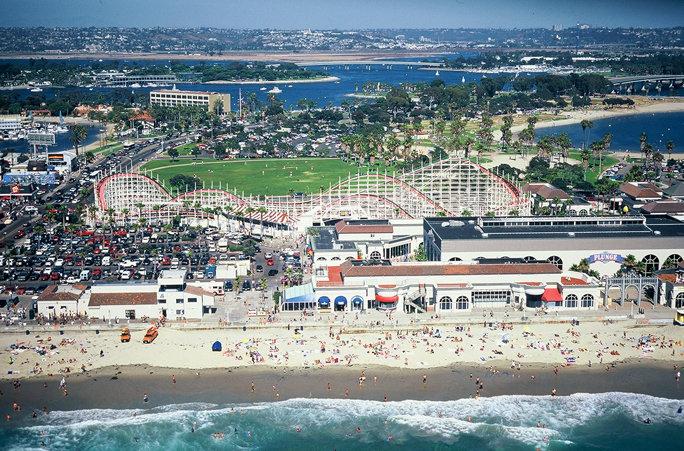 The new attraction is set to open in early April. This makes the second Houdini/magic themed feature to hit the Magic Kingdom recently. In 2009, "Houdini's Magic Shop" took control of the historic Main Street Magic Shop at the original Disneyland park in California. It now displays authentic Houdini artifacts from the Geno Munari collection. Looks like it's time for a trip to Disneyland! The popular exhibition, Houdini Art and Magic , has closed at The Jewish Museum in New York and is now traveling to the Skirball Cultural Center in Los Angeles where it's due to open on April 28, 2011. The Skirball Center will also feature an additional retrospective of Jewish magicians, Masters of Illusion: Jewish Magicians of the Golden Age, along with special programing. 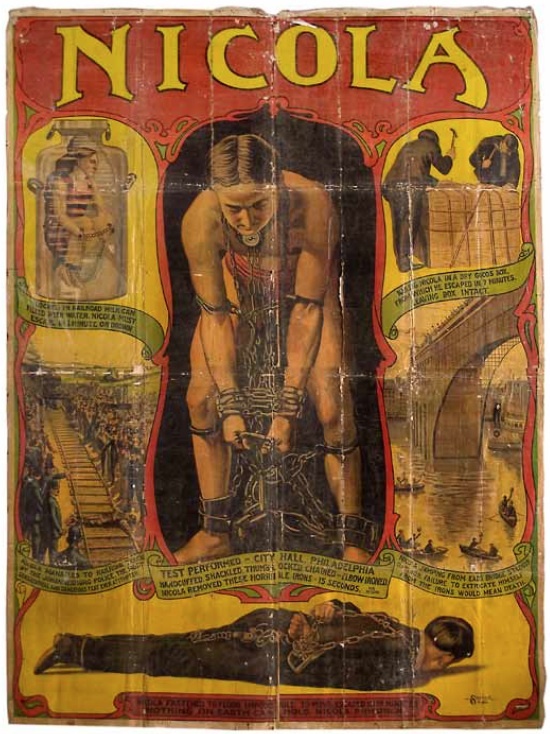 One notable change to the Houdini Art and Magic exhibition will be the inclusion of John Gaughan's authentic working replica of Houdini's Water Torture Cell. 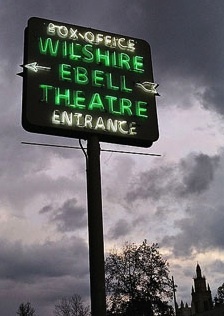 The Gaughan replica will ONLY be displayed at this L.A. stop. I live not far from the Skirball, so you can count on complete coverage of the exhibition and special events here at WILD ABOUT HARRY. 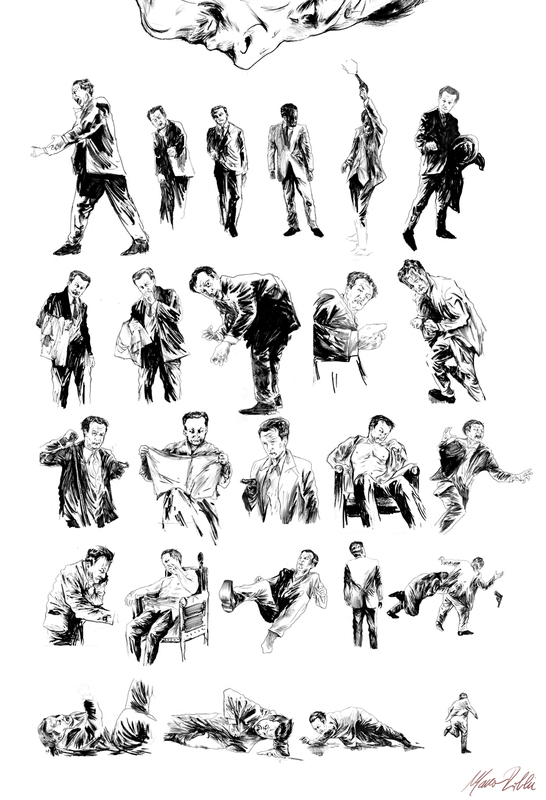 Marco Roblin, the talented artist who illustrated the Houdini/Conan Doyle mash-up graphic novel, Edge of the Unknown, is now offering a high resolution digital image of his special Houdini birthday artwork FREE to anyone who sends him an email. 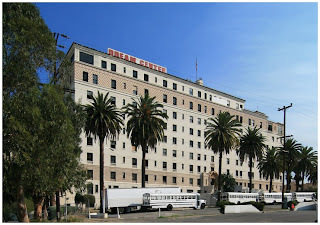 Just head on over to Marco's blog, Bocetos de Carne, for all the details. Marco tells us he is currently hard at work on Edge of the Unknown 2. Looking forward to it! Just a heads up that Dorothy Young's obituary appears in the Los Angeles Times today (March 27, 2011). 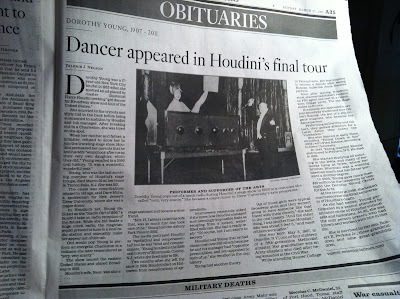 Dorothy, who worked as an assistant in Houdini's full evening roadshow, died last Sunday at age 103. Thanks to my dad, Ron Cox, for the tip and pic. It looks like the claim put fourth by San Narciso "video game expert" Meyrian Dofskelge and The Bennington Vale Evening Transcript that Thursday's Google Houdini Doodle contained secret animation was a hoax. "No secret animation in the Houdini doodle." It's baffling what anyone thought they would gain from this. Guess I should have been suspicious when Dofskelge refused to explain how he "unlocked" the animation. "Like any good magician, I keep my secrets," he said. The real secret was that he was lying. UPDATE: The Bennington Vale Evening Transcript as now added a disclaimer to the site and story: "All stories are works of satire and parody." 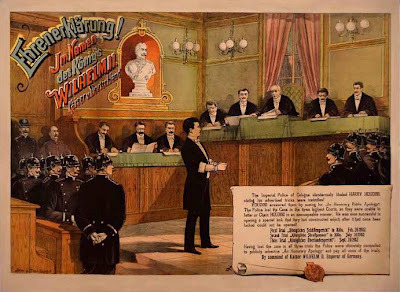 A 1902 stone lithograph depicting Houdini's victory in the German courts sold today for $25,000 (plus 20% commission) at Potter & Potter's Rare Posters auction. 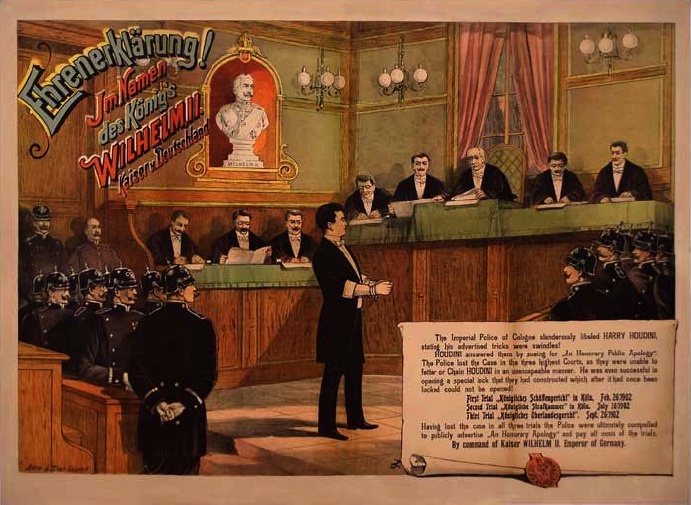 The color one-sheet by J. Zier, which the auction house calls "Houdini Triumphant", is one of only five known copies. The auction estimate was $15,000/20,000. The poster went to a floor bidder. A Houdini Challenge broadside from 1915 ("A Peculiar Challenge") sold for $1,900 to an internet bidder. Auction estimate was $1,500/2000. A very nice 1920 Nicola poster featuring terrific Houdini-like escape imagery sold for $4000, beating its estimate of $2,500/3,500. Now you can keep up with all the latest news on Wild About Harry via email. This is a brand new Blogger feature. Just scroll down to the bottom of the page and enter your email address in the field marked "Receive updates via email." You'll receive a confirmation email. Click the link and you're all set. You will then receive a daily email notification of the new published posts, which includes a copy of the new content as well as links back to the actual stories. You can opt out anytime by clicking the "unsubscribe" button at the bottom of the email. I've given it a test drive (right) and it works pretty darn well! 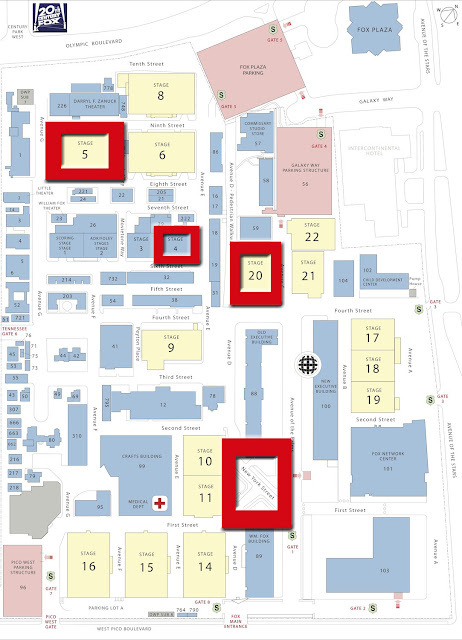 So if you can't make it to the site everyday, no worries. We will now come to you. UPDATE (3/27): Looks like this was a hoax. According to The Bennington Vale Evening Transcript, there was more to yesterday's Houdini Doodle than met the eye. 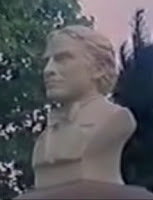 The news blog reports that a gaming expert in San Narciso County discovered a way to cause the image to animate and "free Houdini." Meyrian Dofskelge, a business analyst who specializes in the electronic gaming industry, claimed that when he first saw the doodle on Thursday, he immediately began experimenting with it. But he refused to explain how he solved the puzzle. "Like any good magician, I keep my secrets," he said. The only clues he would reveal were that clicking on the doodle directly would lead to a dead end -- merely generating a search for Houdini -- and that to figure out how a magician’s illusions operate, one must "inspect all the elements inherent in the environment." According to Dofskelge, once the doodle is unlocked, an HTML 5 animation depicts Houdini upside down, with his wrists chained together. 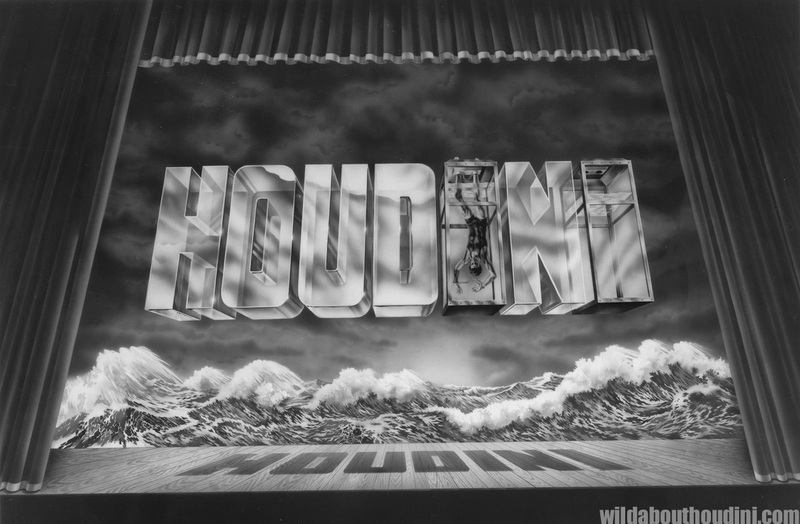 After a few seconds of writhing around the doodle and squirming, Houdini breaks the chains and settles in the lower right hand corner of the image, as it appears in its static form. As an added bonus, if users with Google accounts are logged in, Houdini causes a message to appear beneath the doodle, which features the user’s name and information specific to his or her online activity. 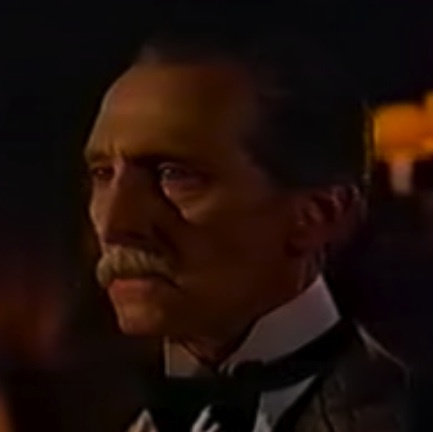 However, Dofskelge admitted this aspect of the animation was "notably creepy and a bit unsettling." Maybe not coincidently, Google patented its doodle technology yesterday. Click the headline to read Dorothy Young's obituary at The Washington Post. 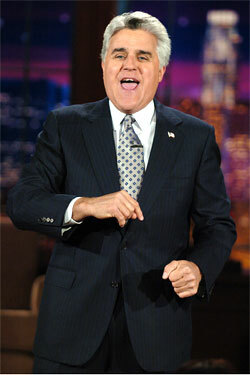 Joe Fox alerts us that Jay Leno included a mention of Houdini and the recently deceased Dorothy Young in his Tonight Show monologue last night (March 24). The joke didn't make it into the highlights posted at NBC.com, but apparently the big punchline was that Dorothy's last words were: "TA DA!" No wonder it didn't make the highlights. Last Tuesday I watched the premiere episode of Big Brian the Fortune Seller as I saw there would be a Houdini reference. 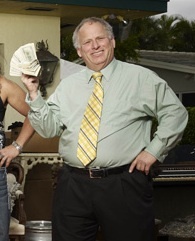 The truTV series follows estate seller "Big Brian" Elenson and his motley crew as they sell off years of accumulated goods from various homes in the New Jersey area. While searching a home in this particular episode, Brian stumbled on a silver tipped Victorian walking stick engraved HH. Well, that can only mean one thing -- it must have belonged to Harry Houdini! Brian went on to say Houdini was "known to have used sterling walking sticks" (news to me) and that the item could be priceless. To his credit, he said he would need to research it. The show continued with catfights, screaming matches, and the destruction of a piano that was so obviously staged it was embarrassing (and this from a guy who watches America's Next Top Model). At the end of the show the cane came back and, much to my surprise, Big Brian's "research" found that it was genuine! He based his conclusion on the handle inscription, pointing out that the double HHs matched Houdini's unique double HH signature (it doesn't). 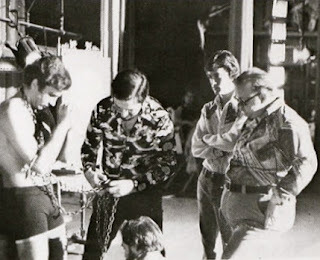 The show ended with Brian saying he would contact one of the major auction houses and "let the world decide the real value of the cane." 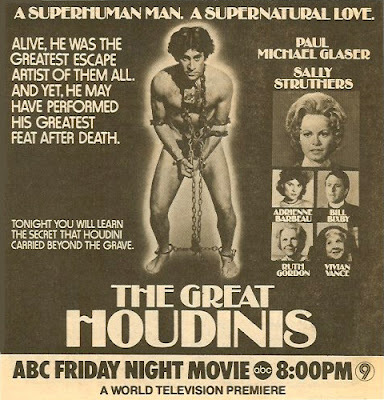 Today is the birthday of actor Paul Michael Glaser, who played Houdini in the 1976 ABC biopic The Great Houdinis. I had no idea Glaser was born the day after the real Houdini until this week when it appeared on his Facebook and Dean Carnegie's terrific Magic Detective blog (in fact, I'm stealing Dean's idea here). 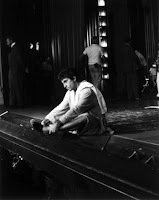 Glaser turns 68 today. Happy birthday, Paul! Recently I took a thorough look back at the Making of The Great Houdinis, which remains my favorite Houdini biopic. What a birthday Houdini is having! 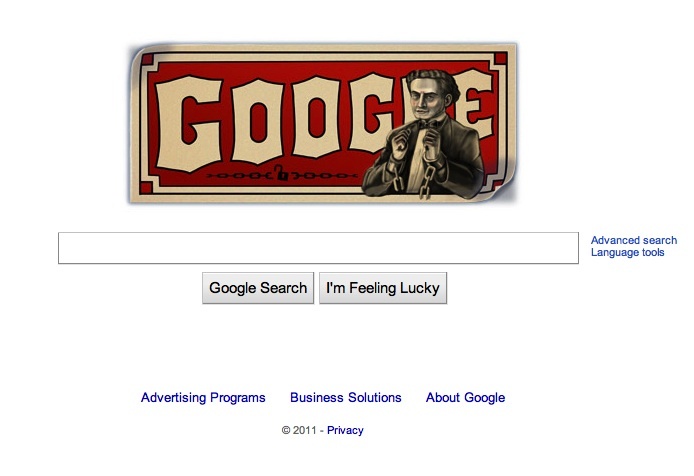 Not only is Google honoring him with a special Doodle, but "Harry Houdini" is now trending worldwide on Twitter. What does this mean exactly? I'm not sure, but I know it's good! Hash mark those tweets #Houdini and be sure and follow me @HoudiniWild. Looks like Houdini is now officially a 21st Century superstar. 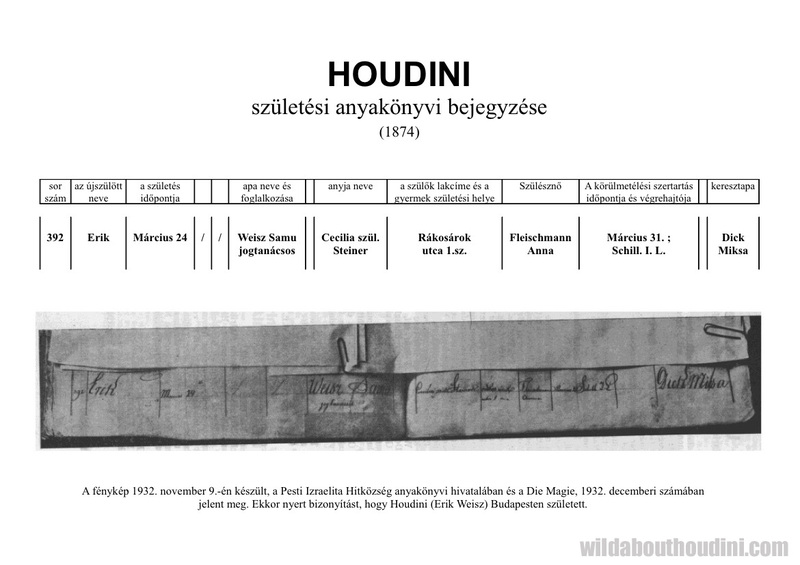 Botond Kelle, editor of the Hungarian magic news site, buvesz.blog.hu, has just sent over this copy of Houdini's actual birth record along with a translation below. The photograph was taken on November 9, 1932, at the Registrar's office at the Pest Jewish Community and was first published in the German magazine Die Magie (December 1932). 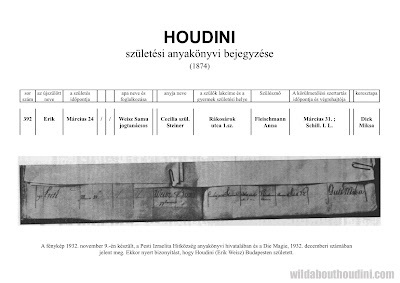 This was the first published evidence that Houdini was born in Budapest and not Appleton, Wisconsin as he always claimed. 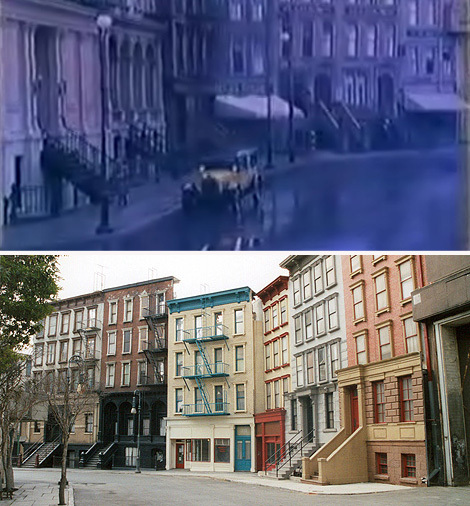 Address of the parents: Rákosárok street 1. Date and executor of the circumcision ceremony: 31th of March Schill. Today is the birthday of Harry Houdini, born 137 years ago in Budapest, Hungary to Mayer Samuel and Cecilia Steiner Weiss. 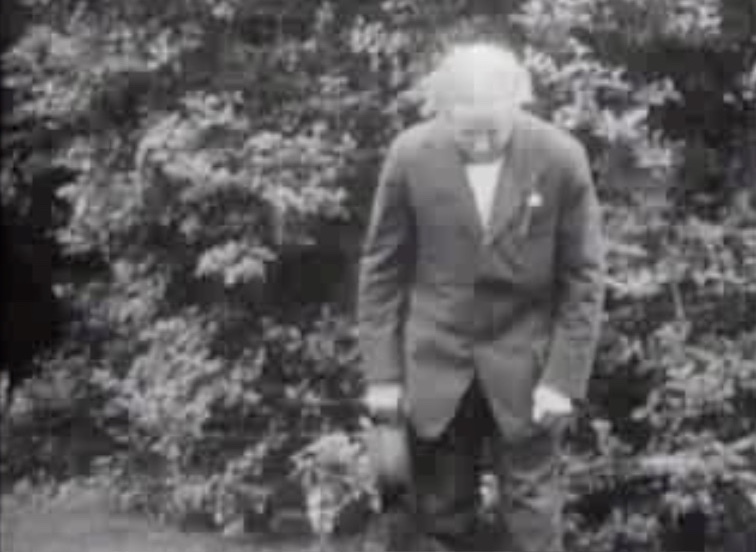 Click here for a look back at the adventurous life of the world's greatest magician and escape artist. Also be sure and click over to Google at some point today and check out their honorary Houdini "Doodle". Because today everyone is wild about Harry! 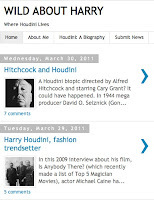 Magic Newswire: HAPPY BIRTHDAY HOUDINI! Sleighted: The Vintage Magic Blog: Happy Birthday, Harry! Bocetos de Carne: Happy Birthday, Harry! Wild About Harry has just had it's best day ever with 1,112 pageviews (Blogger measures a day 5PM to 5PM). This was powered by the early news of Google's honorary Houdini Doodle, and the late in the day surprise of yet another Houdini film project from Sony. Let's call this an early birthday present for Harry. Thanks for the hits, everyone. UPDATE: Well, so much for that record. We have already blown past this number in just four hours of the new 24 hour cycle. Looks like it's going to be a big birthday for Harry! I'll post the new pageview number here tomorrow. UPDATE (3/24): Okay, page hits for Harry's birthday -- 5,780! Wow. Yes, we have news today of yet another Houdini film project in the pipeline! Variety is reporting that director Francis Lawrence is in talks with Sony Pictures to develop a fresh take on what is described as a "high-profile biopic", though so far no deal has materialized. Jimmy Miller, who's produced such Sony comedies as The Other Guys and the upcoming Bad Teacher, will produce through his Mosaic Media Group banner. 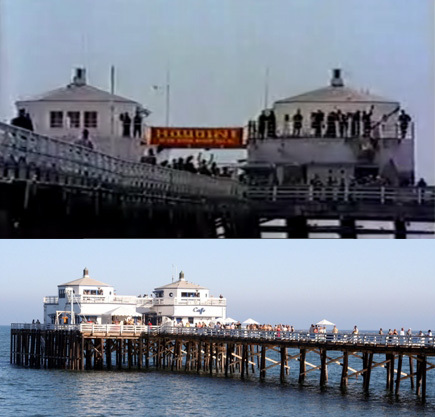 The revamped project will take a new approach, sources said, though it will still have a period setting. Lawrence directed 2007's I Am Legend for 20th Century Fox. His most recent helming effort, Water for Elephants, is set to bow on April 22 through the same studio. Sony/Columbia has long been passionate about bringing Houdini's life to the bigscreen. In the late '90s the studio tried to get a Houdini movie off the ground, first with director Robert Zemeckis, then Paul Verhoeven, and finally Ang Lee. This marks the fourth Houdini film project announced this year (and I happen to know there's a fifth). I say keep 'em coming, Hollywood! Houdini is ready for his closeup. Now this is too cool! Google will honor Houdini on his birthday tomorrow by changing their logo to this terrific image. Since 1998 Google has created special logos called doodles to celebrate holidays, birthdays and special events. This Houdini doodle is currently live in Australia, New Zealand and some other countries where it is already March 24th. Looks like 2011 is truly the year of Houdini! Here is a wonderful video about Dorothy Young, made for the occasion of her 100th birthday. Dorothy, who acted as Houdini's assistant in his full evening show, died on Sunday at her home in Tinton Falls, New Jersey, at age 103. What a full life she had. Sad news. Dorothy Young, who acted as Houdini's assistant in his full evening show, has passed away at age 103. Patrick Culliton just posted the news on Genii forum. He says he was notified by Stanley Palm. 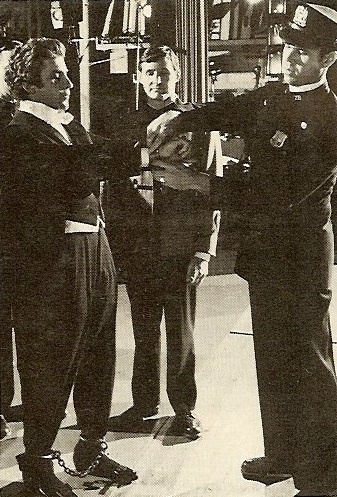 Young was the last living person to have worked with Houdini. R.I.P., Dorothy. A true legend. Dorothy Young and Houdini perform "Radio 1950"
UPDATE: Here is Dorothy's obit from Drew University. 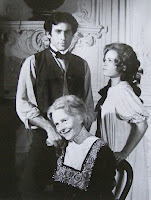 Patrick Culliton has posted on his website, Houdini's Ghost, some wonderful and rare behind the scenes photos from the first day of filming The Great Houdinis at the Wilshire Ebell Theater on April 28, 1976. These photos were taken by the legendary artist Dave Stevens (The Rocketeer ). Pat has also posted a portrait of Houdini drawn by Stevens. 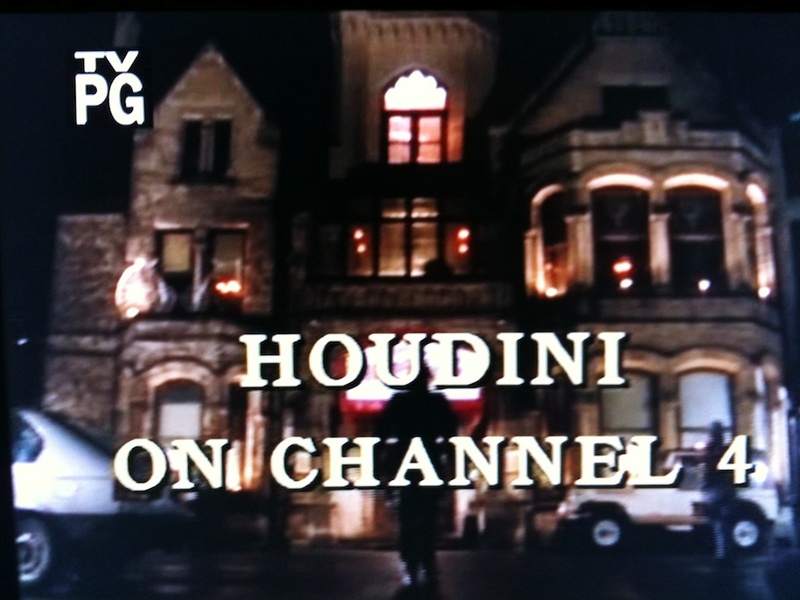 Click on the headline to view the images at Houdini's Ghost. 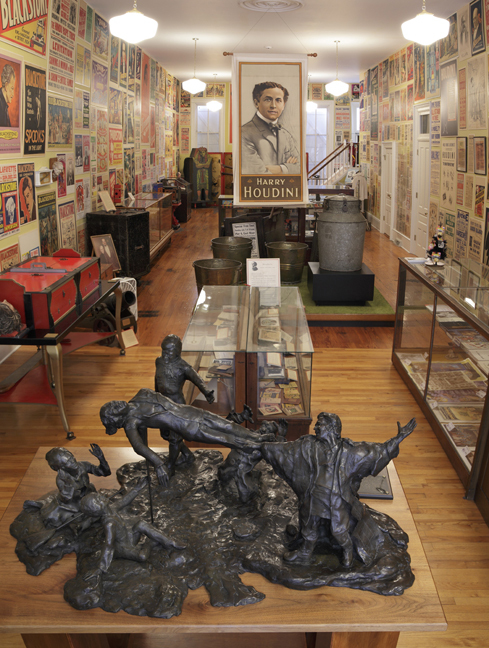 This is the final week to see Houdini Art and Magic at The Jewish Museum in New York City. After Sunday, March 27, the exhibition closes and heads to the Skirball Cultural Center in Los Angeles where it opens on April 28, 2011. So if you live in the New York area and haven't yet seen Houdini Art and Magic, this is your last chance!